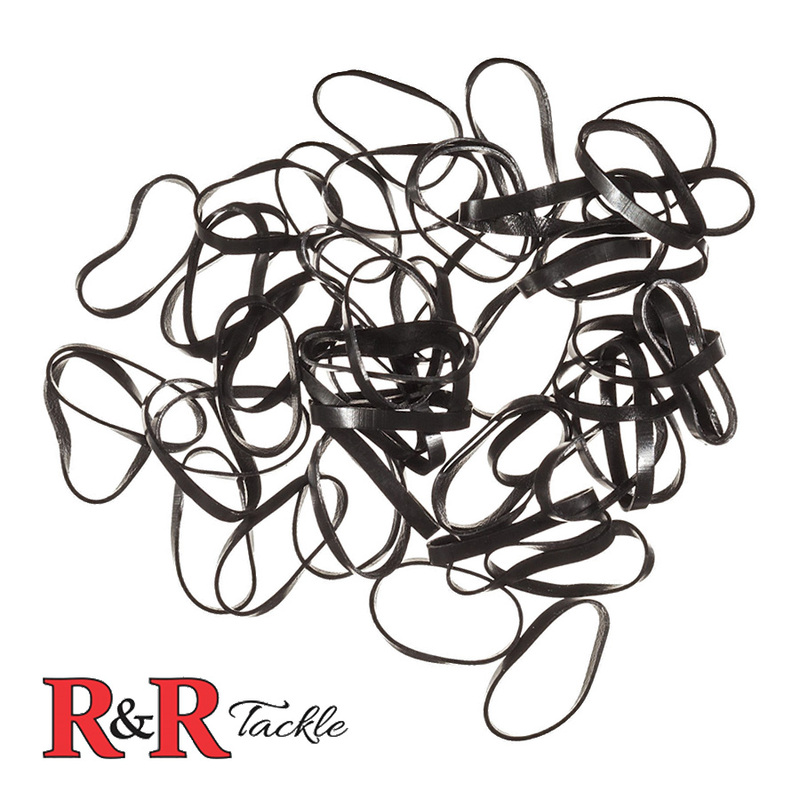 Special synthetic rigging bands have unparalleled memory. 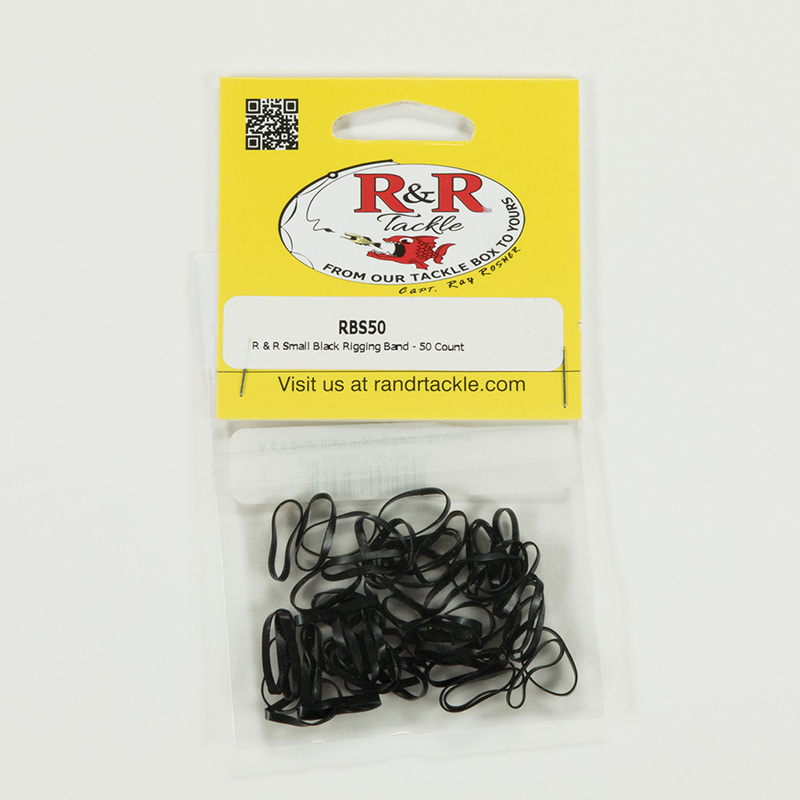 R&R Rigging Bands have numerous uses. 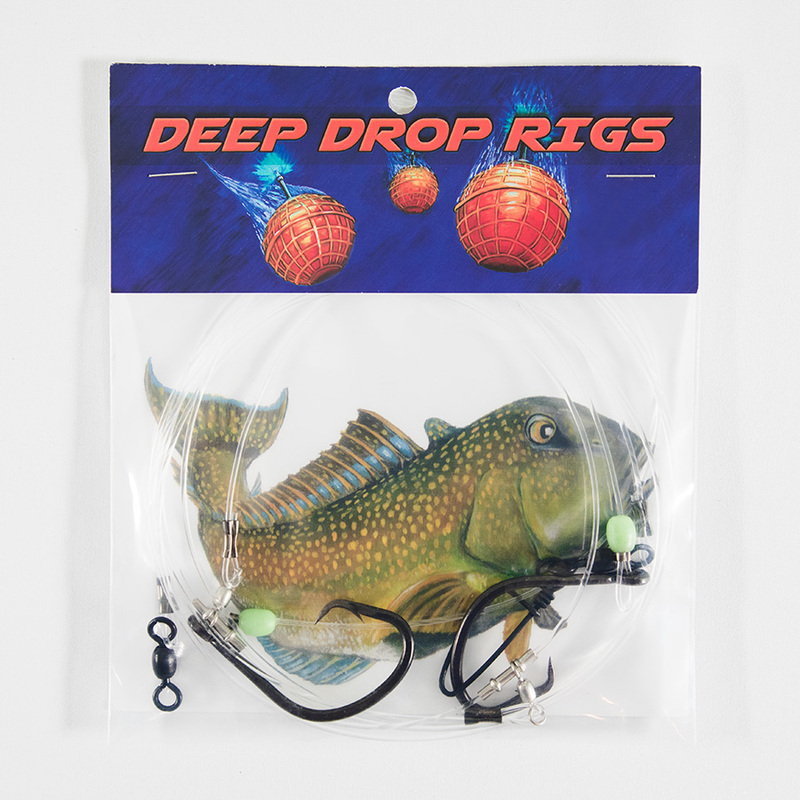 They make great make shift release clips, especially for trolling. Simply connect your rubber band to your outrigger to spread your lines out. 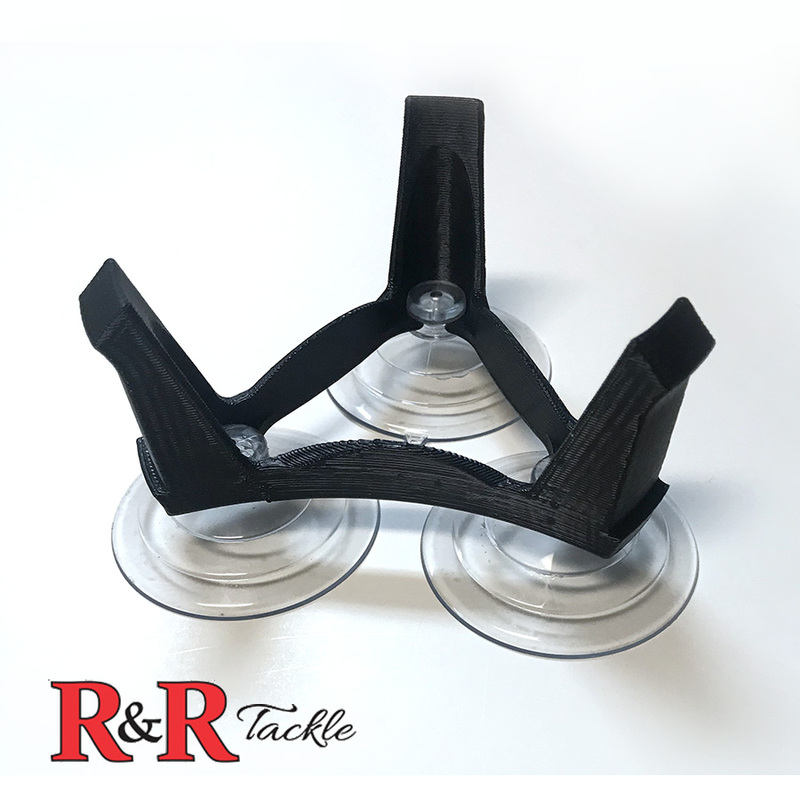 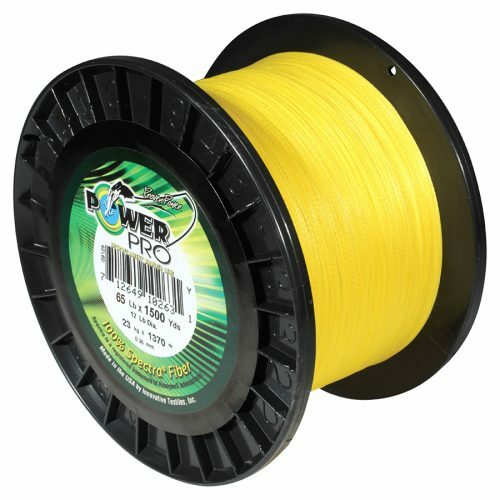 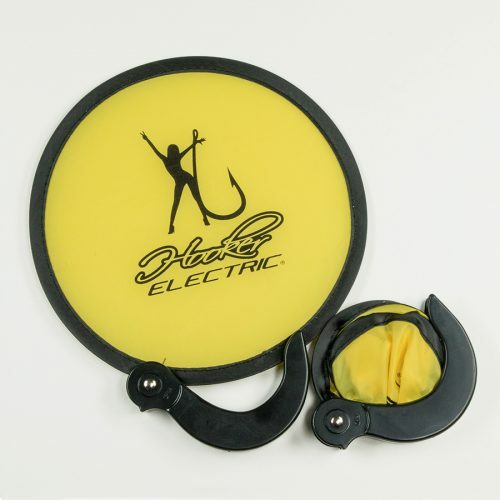 You can also connect it to a cleat to make your trolled line closer to the water. 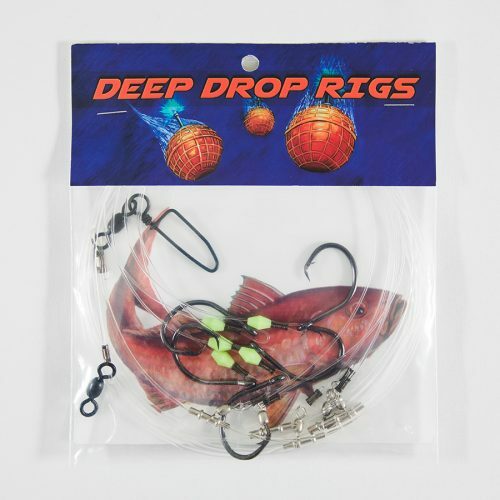 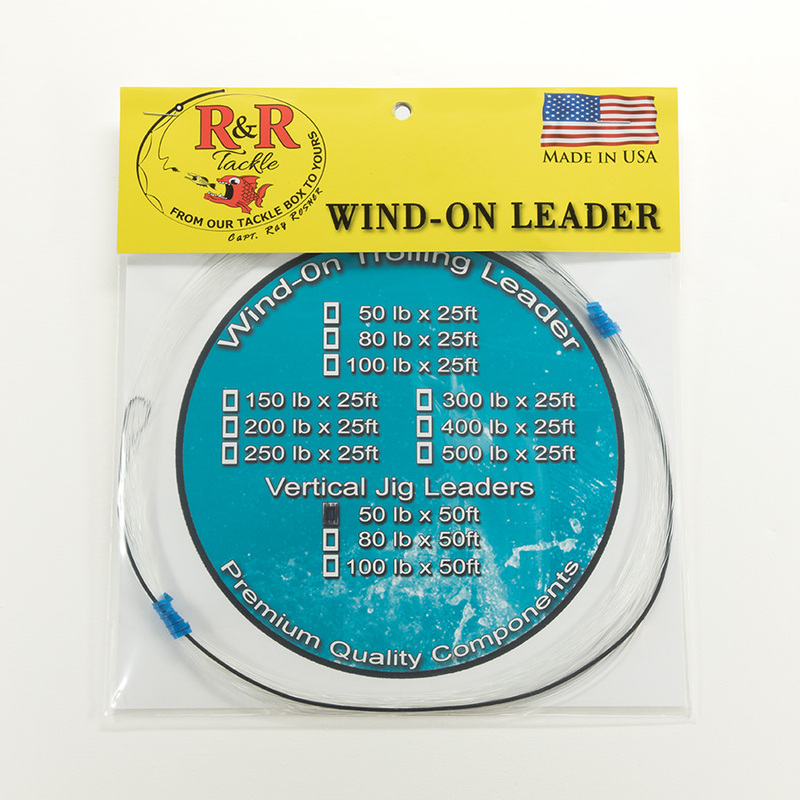 One way to quickly turn one of your rods into a mid water or bottom rod without a swivel is to connect is to stick a loop of your line through and egg sinker and then stop it from coming back through using a rigging band. One of the advantages of connecting a bank sinker to your fishing line using a rigging band is that you can easily remove it from your line once you bring your fish up to the boat, simply by pulling and breaking the rigging band. 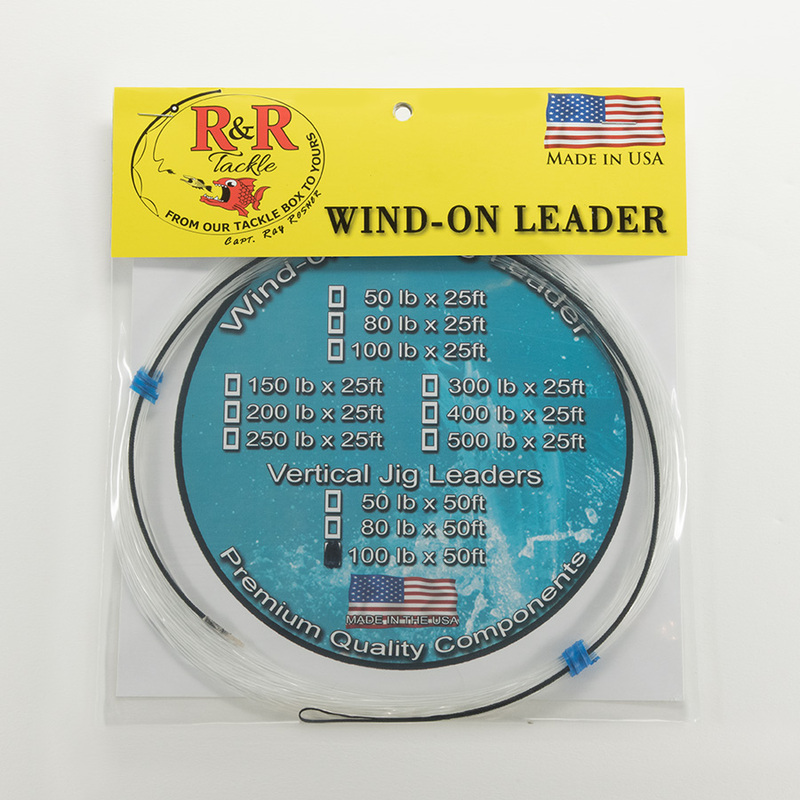 You can connect a glow stick or electric fishing light similarly to a bank sinker using a rigging band. 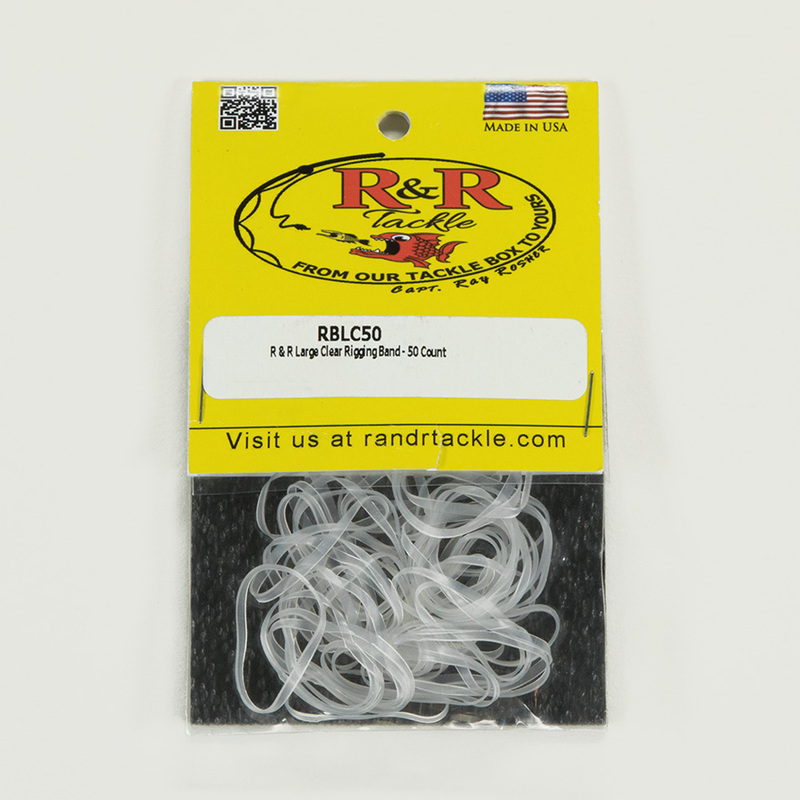 Whether you’re rigging a bait for kite fishing or preparing a bait to be trolled or dropped on structure, R&R Rigging Bands provide the durability and reliability you need. 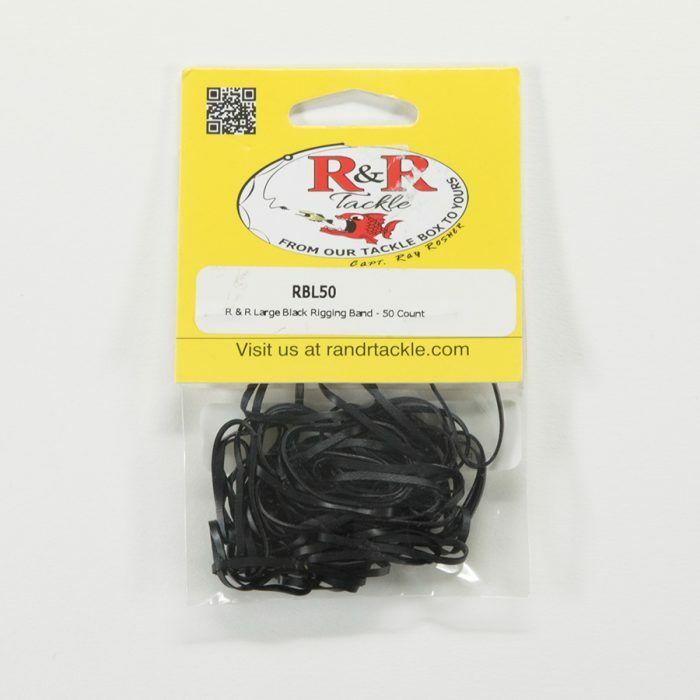 They are indispensable for a wide range of live bait presentations. 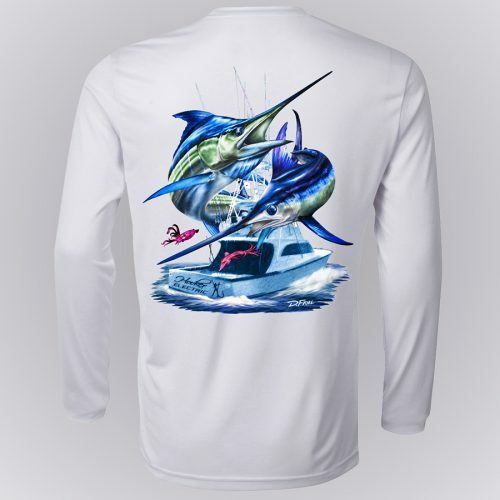 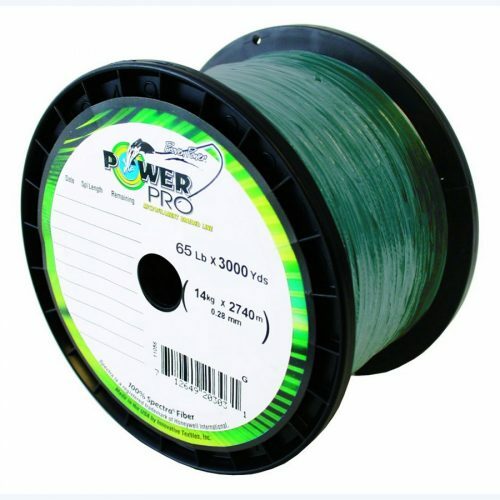 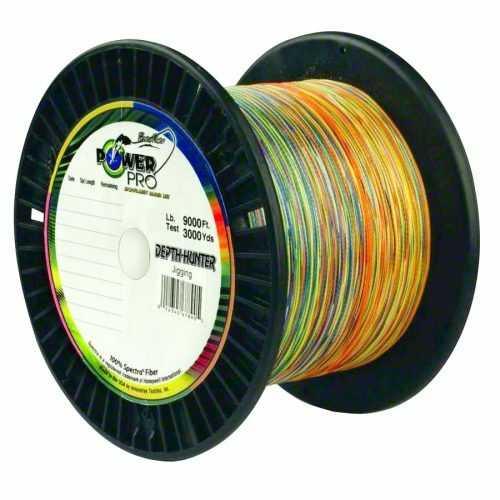 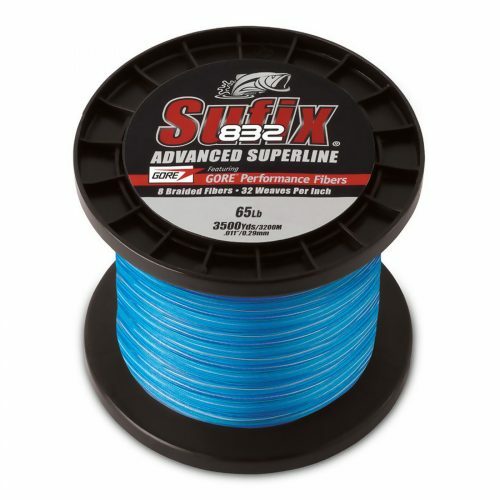 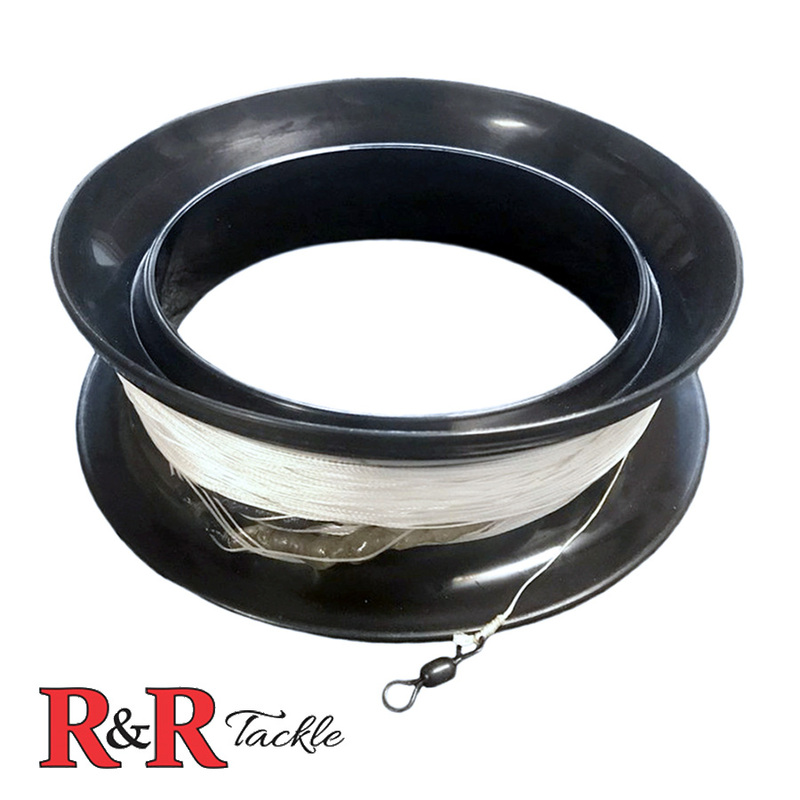 Special synthetic bands have unparalleled memory, are up to 3X stronger than average rigging bands, holds up in saltwater, and are UV resistant. 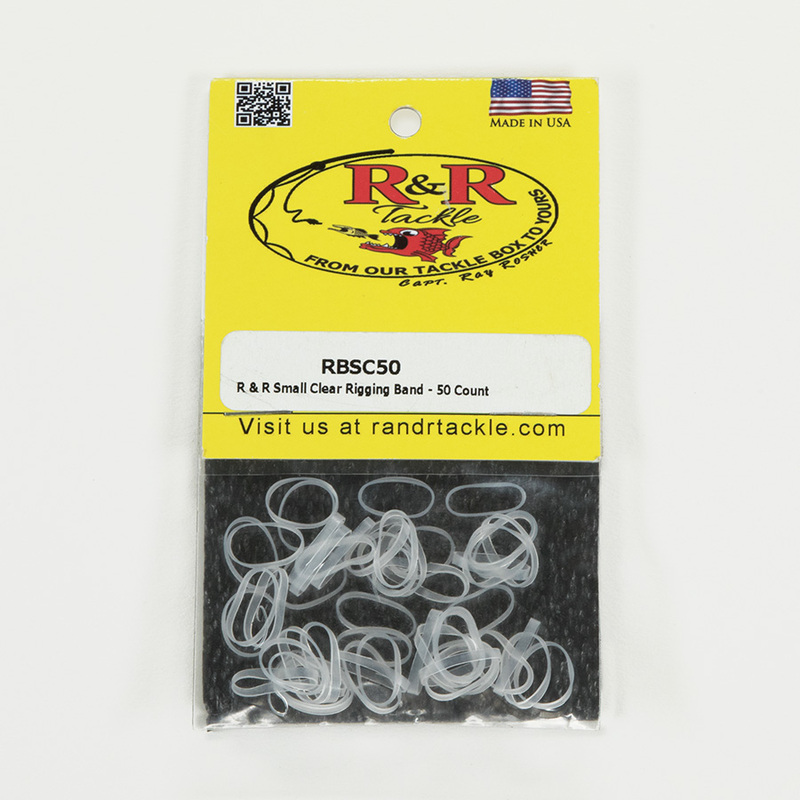 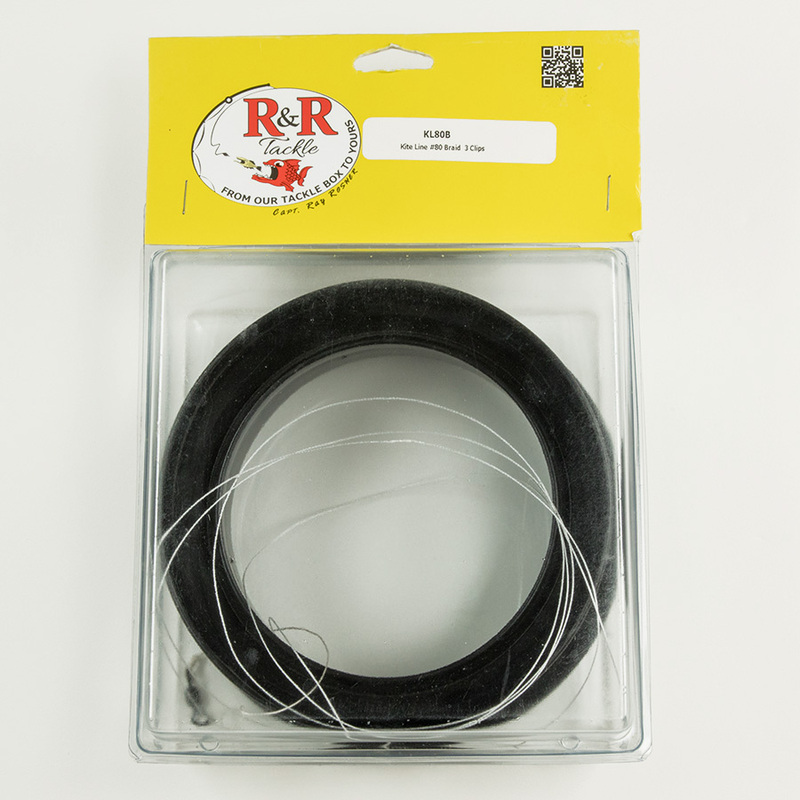 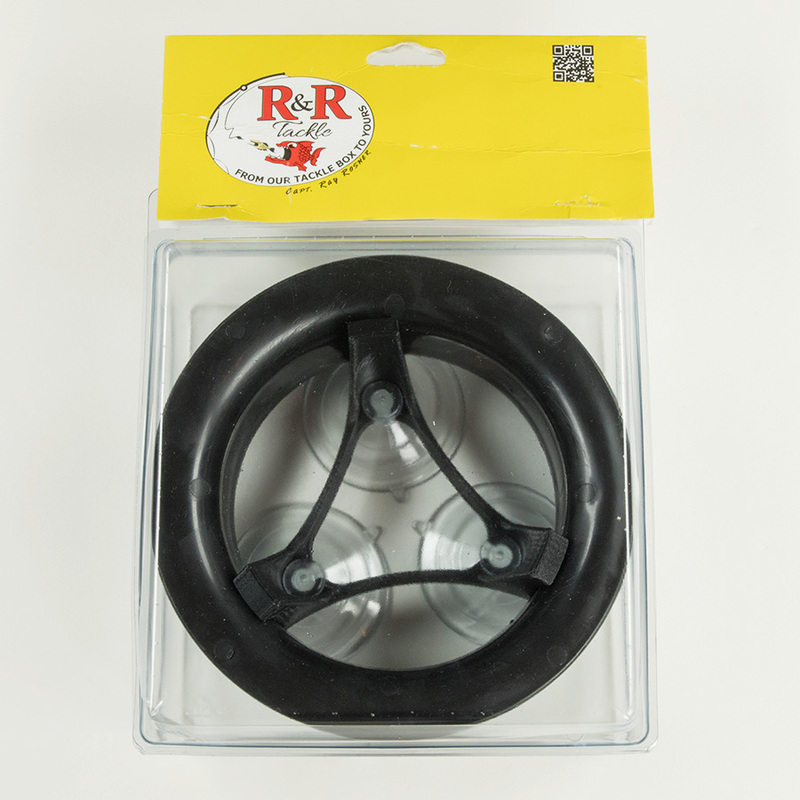 R&R Rigging Bands are available in two sizes for large and small baits and are designed for single use. 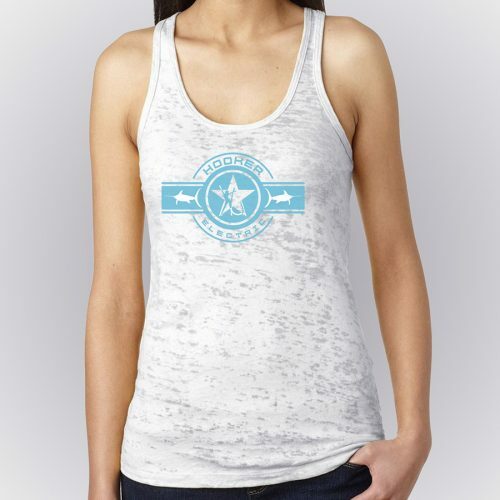 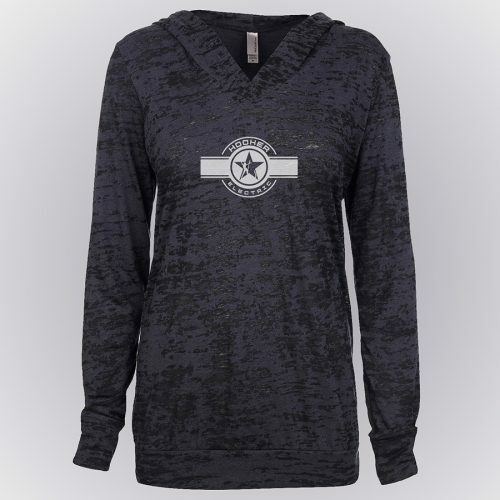 Available in black or clear, large or small in counts of 50. 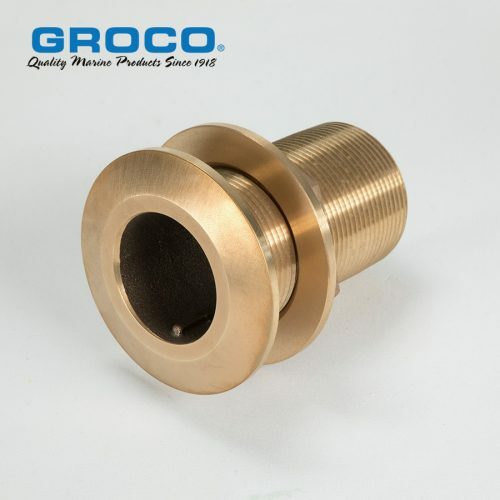 Please call for special orders of 200 or 1000 count.